The film revolves around the life of a mother and her son who are starting life afresh. Jaideep (Phalke) is going through therapy to come to terms with his father’s behaviour towards him and his mother Samidha (Bhave). After the two move to Lonavala, Jai befriends Vicky (Mudgalkar) and the latter is always there for him. But he comes off as too clingy after a while and that’s enough for Jai to become suspicious of his behaviour. Jai confides in his mother and she tries to warn others but to no avail. So, Samidha decides to take things in control and bring out the truth. Premier Tickets is an online event marketing and ticketing agency. 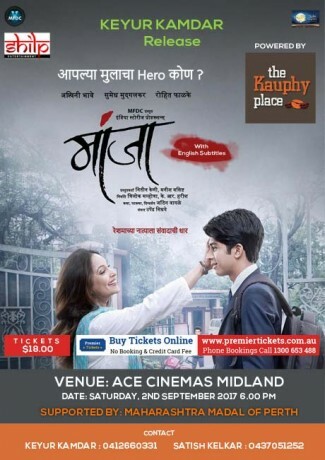 Premier Tickets will NOT be responsible for any changes related to the event schedule, artist, venue or cancellation and refunds related to the tickets for Manjha .